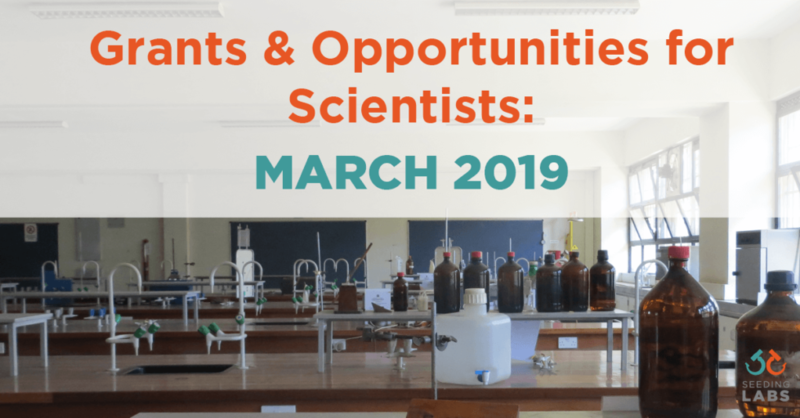 Every month we collect opportunities that scientists and students in developing countries can take advantage of. Here’s our monthly roundup of the latest calls and resources for March 2019. The TWAS-DFG Cooperation Visits Programme provides postdoctoral researchers from sub-Saharan Africa, including South Africa, with the opportunity to make a three-month ‘Cooperation Visit’ to a research institute in Germany. The aim of the visit is to initiate research collaboration between African and German scientists with the ultimate goal of developing longer-term links. DFG will cover health insurance, travel expenses and provide subsistence costs for the stay in Germany. The International Society for Infectious Diseases (ISID) is seeking applications for its Research Grants program to support the professional development of young investigators working in the field of human infectious diseases by funding pilot research projects to be carried out over the course of a year at the applicant’s institution. Up to eight grants of a maximum of US$7,000 each will be awarded. The UKRI GCRF Health and Context call is seeking proposals for interdisciplinary research addressing wider contextual factors contributing to the burden of infectious and non-communicable diseases (NCDs). These factors may include social, cultural, historical, and religious beliefs and practices, or wider biological, ecological and environmental factors. Researchers may apply for funding of projects that cost between £1 million and £2 million for a duration of up to three years. The UK Medical Research Council (MRC) has launched a further call to support ‘rising star’ African Research Leaders. This is a prestigious award, jointly funded by the UK MRC and the UK’s Department for International Development (DFID). The aim of the scheme is to strengthen research leadership across sub-Saharan Africa by attracting and retaining exceptionally talented individuals who will lead high-quality programmes of research on key global health issues pertinent to the region and beyond. Awards will provide support for up to five years and should not exceed £750,000 in total. The Global Maternal and Neonatal Health funding call is a joint initiative between the Medical Research Council (MRC; part of UK Research & Innovation, partly funded by the Global Challenges Research Fund (GCRF)), and the National Institute for Health Research (NIHR). The purpose of the call is to address the burden of maternal and neonatal mortality and morbidity in low and middle income countries (LMICs), by funding high-quality proposals across the spectrum of basic to applied research. Up to £10 million will be made available for this call to support research grants up to three years in duration and seed-funding grants up to one year’s duration. The Conservation Fund awards grants to projects focused on protecting wildlife, people and places in ways that are sustainable and long-term. The Conservation Fund's areas of focus are: species research, habitat protection, conservation education, animal rescue and rehabilitation. Although there is no limit to the size of the application request, most grants range between US$10,000 to US$25,000. The Global Confederation of Higher Education Associations for the Agricultural and Life Sciences World Agriculture Prizes aim to encourage the development of the mission of higher education institutions in education, research, innovation and outreach in the agricultural and life sciences by recognizing the distinguished contribution of an individual to this mission. Two prizes of US$100,000 will be awarded. Each nominee will demonstrate exceptional and significant achievement in his or her engagement in the mission of higher education institutions in education, research, innovation and outreach relating to the agricultural and life sciences. The impact of these achievements will most likely be demonstrated in the work of the nominee in the development of the institution(s) in which the nominee has served, and in the local and wider geographical region of those institution(s), but not necessarily globally. Each of the eight categories has an award of 400,000 euros. The The World Academy of Sciences TWAS-Abdus Salam Medal was instituted in 1995 to honour the Academy's founder and first president, Nobel Laureate Professor Abdus Salam and is awarded to highly distinguished personalities who have served the cause of science in the Developing World. Nominees from any country and any field are eligible. You can receive these grants and opportunities directly in your email inbox by signing up for our newsletter.